International organisations such as the AU, the EU, and the UN are under increasing pressure from their member states to justify the financial, human and political resources spend on peace operations. This has led towards growing pressure to measure impact and effectiveness. The Effectiveness of Peace Operations Network undertakes collaborative research studies into specific peace operations using a shared methodology. In 2018, the Network studied the UN missions in Mali, the DRC and the AU mission in Somalia. At this event, the findings of these studies, and the general observations made on the effectiveness of peace operations, will be shared and discussed with seminar participants. 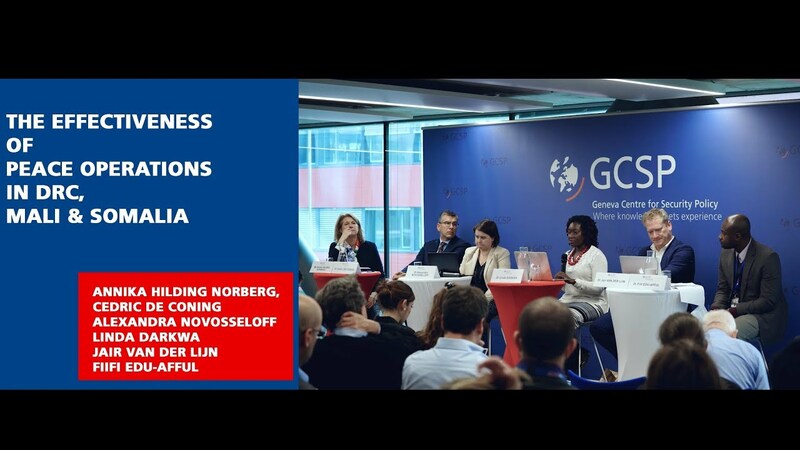 Come join an interactive session facilitated by Ms Annika Hilding Norberg, GCSP, and with interventions by Dr Cedric de Coning, NUPI; Dr Alexandra Novosseloff, IPI; Dr Jair van der Lijn, SIPRI; and Dr Linda Darkwa, TfP.